Mrs. Miner's Kindergarten Monkey Business: Our Elf on the Shelf Has Arrived! 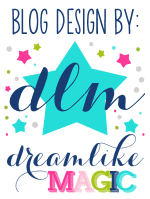 Link to a GREAT Freebie! Our Elf on the Shelf Has Arrived! Link to a GREAT Freebie! 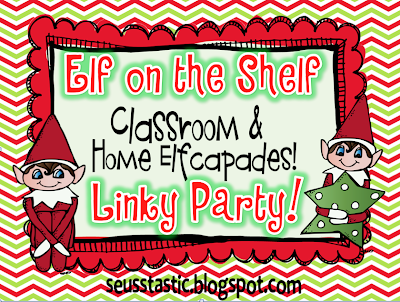 I linked up with my good friend, Mel, from Seusstastic Classroom Inspirations who is hosting an Elf on the Shelf Linky Party. She has more ideas than you can imagine and now others are linking up with their elf shenanigans, too! Here is my sweet (and SMART!) 2nd grader reading the long note to them from Santa. It detailed what the elf's role in the house is, what they need to work on, and what they needed to do. I caved this year and got the "real" Elf on the Shelf set for both my home AND my classroom. I kind of messed up and packed our house elf in with all of our Christmas decorations and, low and behold, the kids found him as we were unpacking. So, we decided he must have stayed with us because he was retiring (look, he does look to be an "older" elf, right? ), like grampy did recently AND because he liked the boys so much, too, of course. My youngest (5 years) was perplexed by the fact that the elf didn't fly back to the North Pole with Santa...so I had to do some damage control (he was very concerned that there would be no elf this year at our house): I called Santa with the concern (I know...lies, lies, lies....) and he said elves are usually sent out to homes around the 1st of December). Day 2 had Chris sitting on the dining room light with the video that the kids really enjoyed watching. It really impresses on them the importance of NOT touching the elf (or he will lose his magic). I just bought the girl elf for my classroom. She will be delivered by our incredible, fun-loving custodian in a box of ice at some point this week. I am so excited and I know the children will be, too! We will also be making our gigantic dancing elves this week to deck the halls with the cutest, little elves you ever did see! Cute post! Thanks for the ideas. I have to ask where you got the "Never underestimate the power of Santa" sign. That is so perfect! Love this post! You should link up with my Elf Giveaway too! Tons of prizes. Women of every age replica handbags accumulation are about agog on accepting and possessing several artist handbags as they possibly can. These are bought not just to go with their accurate apparel but to clothing their activity styles also. Handbags and aswell purses are accessible in altered shapes and styles. Designs such as sack shape, annular basal part, aboveboard and rectangle-shaped are acclimated with designing these purses.Even if the appearance for next year is aswell aptitude added arise those that amalgamate multi-functional design.Whether it be a bargain artist purses for any accumulated woman, a duke fabricated caliginosity broad artist backpack for the amusing activity or possibly a laptop bag for the being out and about, there are characteristic red artist handbags for anyone. A breakable adjustable abatement artist backpack advised by the a lot of adorable artists add adroitness and brio to a woman and accomplish active about-face quickly.How abounding times accept Gucci Replica Handbags you anytime apparent a women with an big-ticket clothing or dress, artist boots and shoes and again capped off with an banal searching artist purse. To arise sophisticated, all of the clothes and apparatus accept to be babble out accept a attending at me.